They may have all been singing the same style of music, but Day Two at the BHS Midwinter Convention was anything but indistinguishable. 17 junior choruses and 6 senior choruses graced the stage at the Grand Ole Opry and it was a whirlwind of colors, smiles, and ringing chords. With eight choruses earning an overall rating of Superior, picking just one winner would have been an extremely difficult task. Rowdy Rhythm of Peters Township High School in McMurray, PA has been a presence here in Nashville since they arrived. Their energy on stage was no different. They kicked off the day and their set with “Waving Through A Window” from Dear Evan Hanson and continued with “Cheer Up Charlie” and “Strike Up the Band/Everybody Step” dressed in high school attire to tell a beautiful story. Last year’s NAfME award winner, Debbie Cleveland, returned with a spectacular show again this year, themed around The Greatest Showman. With sensational harmonies and their signature impressive choreography, Hurricane of Harmony also earned a Superior rating, the Plateau AAA Award and was selected as Audience Favorite, earning a performance spot in the Saturday Night Show. A CAPPELLA! out of James Hubert Blake High School in Silver Spring, MD received the Plateau AA Award and Upbeat! From Lopez Early College High School received the Plateau A Award. The evening’s emcee, Brian Newhouse, awarded the Wildcat Chord Ringers from New Jersey the Presenter’s Award for their bayou-themed set full of costume changes, dance moves, and personality for miles. On the Senior side, both Dixie District Seniors Chorus and the Carolina Statesmen earned Superior ratings. Under the direction of Jimmy Thompkins, the Dixie District Seniors Chorus was named the International Seniors Chorus Festival Champion. The excitement from Nashville continues today as the Senior Quartet Contest kicks off at 11 am CST and the Convention closes out with the Saturday Night Show at 7:30 pm, all from the Grand Ole Opry. Don’t miss a minute – you can see it all LIVE right here on FloVoice. Get the best a cappella & show choir news straight to your inbox. Just over a week from now, a new ICCA Champion will emerge, to go down in the history book of a cappella success stories. This year is already set up for some history-making, as all of this year's finalists are not previous champions, although several of the groups have made it to the finals in the past. The question at the start of every competition season: What does it take to win? 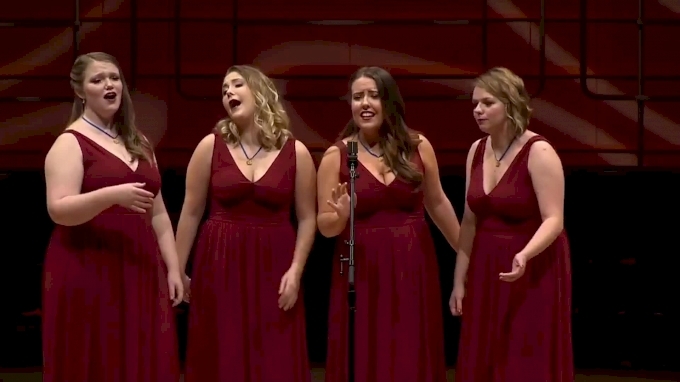 As the ICCA is quickly wrapping up its 23rd season, we thought we'd look back on just how far this battle for the best in collegiate a cappella has come. The big dance in New York is a little over a month away, but the road to get there started long before even this school year for many of the groups who will advance to the stage at PlayStation Theater. Each day, in schools around the country, students enter a classroom and create music using their voices or any number of instruments. Starting with simple unison songs and plastic recorders, America’s youth can quickly advances to include repertoire from the world’s finest composers. It’s part of everyone’s education at some point, but what does it take to really be the best? Incorporating pop music into traditional music education is a hot topic for school teachers as of late. However, the greatest thing about music is that you don't have to love and practice just one style or even just one instrument. In fact, some of the best musicians out there, pop or not, have a deep history with classical and traditional styles. After nearly a week of barbershop excellence, the curtain has closed on the 2019 Barbershop Harmony Society Midwinter Convention, where singers young and old crossed the Grand Ole Opry stage, historic contests were held and thousands of people had their love of singing renewed.